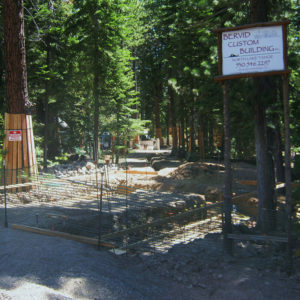 Schaffer’s Mill is a 475-acre planned development located in Martis Valley, east of Truckee, California. AEC was retained to design and develop improvement plans for the amenity parcels consisting of a clubhouse, restaurant, cart barn and sales center, and a parking lot with 123 spaces. Site amenities included tennis courts, pool, and sport court with separated restrooms. In addition, AEC has provided Construction Documents and Final Maps including field surveys, easement descriptions, utility, roadway, and lot layout, drainage, and construction phase/staking services for golf maintenance facilities, development of 109+ townhomes and over 100 custom lots.